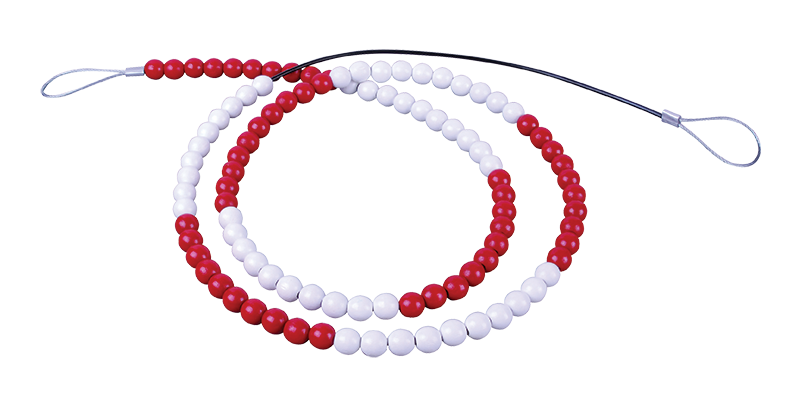 The MathRack Bead String 100 Custom Set provides a linear model to acquire a deep understanding of number sense in any bead combination of your choice from 2 – 10. The sets can be used for skip counting, equivalency, fractions, decimals and much more! Customize to meet your targets! These models are ideal for supporting and stretching student’s strategic thinking. SPECIAL OFFER – Buy any 8 Bead Strings at $12.95 ($103.60) and receive the 9th Bead String FREE!